WholesaleCrystalsAustralia.com is one of the leading importers and suppliers of hand-picked crystals and crystal stones in Australia. 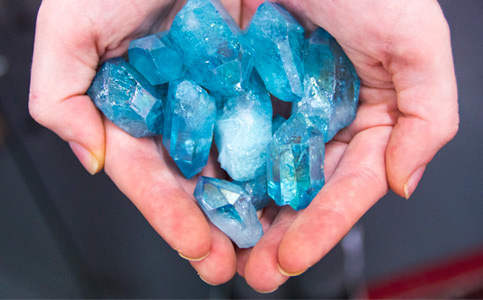 The owner and manager have had the opportunity to travel extensively throughout the world including South America, India, Pakistan and Africa in order to find the most incredible range of unique crystals that not only look fantastic but sell extremely well in retail outlets. Our wholesale crystal showroom on the Gold Coast normally has around $3 million worth of stock sitting on the showroom floor, giving you access to 100+ different categories of crystals with countless varieties and literally thousands upon thousands of unique crystals. Many first-time visitors have walked into our showroom and literally stopped in their tracks as they see the size and scope of what we have available. Whilst we talk about the quality of our staff and the fact that they are trained, its not as a result of training that keeps them up to speed, but it’s due to their passion and interest in the crystal industry which ensures their knowledge is up-to-date. Customer care and attention to your specific needs are also a high priority for our team and we will do our very best to ensure you are well looked after and receive the best service available. We look forward to forging long-term relationships with our clients and it all starts with focusing on your specific needs. Our staff have the benefit of speaking first-hand with our current list of wholesale clients and know exactly which items are selling well in the field. One of the most common questions we get asked is what are the best selling crystals and as a result of talking with many clients on the front line we are well positioned to help you. WholesaleCrystalsAustralia.coms main focus is to make available our crystal warehouse to all those who are comfortable in travelling to Varsity Lakes on the Gold Coast. So whether your retail outlet is within a couple of hours drive of the Gold Coast or you live hundreds of kilometers away, we are well positioned to serve you. To find out more you can view our crystal showroom’s location or contact us directly.